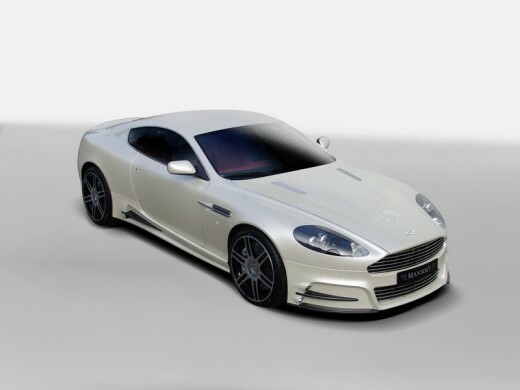 Aston Martin will introduce a revised version of the company's critically acclaimed DB9 at the 2008 Geneva Motor Show, which includes significant enhancements to standard specification. These changes include a revised version of Aston Martin's 6.0 litre V12 engine to deliver improved power and torque. Peak power of 470 hp (350 kW) – increased by 20 hp - is now reached at 6,000 rpm, resulting in a power to weight ratio of 267 hp per tonne (199 kW per tonne) – an increase of 11 hp per tonne over the existing DB9. Peak torque of 600 Nm is delivered at 5,000 rpm, providing even more accessible power for the driver, as well a greater performance feel overall. Accordingly, top speed is now 190 mph (306 km/h) and the benchmark 0-60 mph time improves by 0.3 seconds for the Touchtronic transmission – which benefits from a new valve box and integrated transmission controls to achieve quicker gear shifts – to 4.6 seconds and by 0.1 seconds to 4.6 seconds for the manual gearbox. 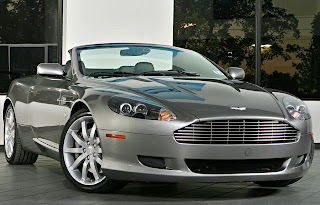 The latest DB9 also incorporates a series of chassis developments for both the Coupe and Aston Martin Volante derivates. Bilstein dampers are introduced in addition to revised upper suspension arms and retuned suspension bushes to deliver improved ride quality; aiding greater refinement in the Aston Martin Volante and an enhanced sporting feel in the Coupe. 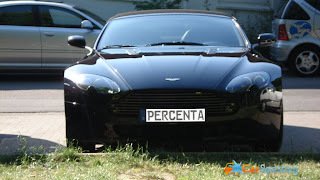 The DB9 Aston Martin Volante also benefits from revisions to the front shear panel which increases torsional rigidity by 10 percent further improving refinement. 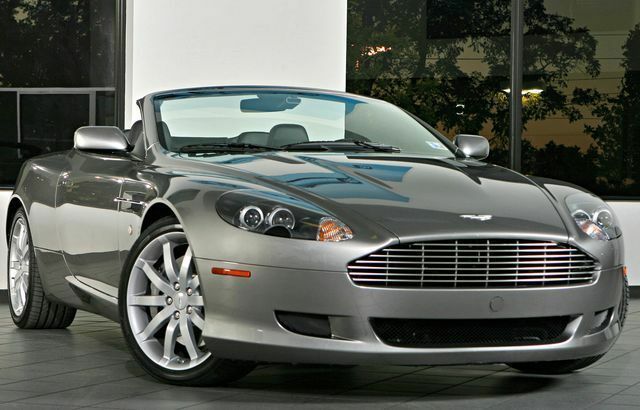 The DB9 Aston Martin Volante manages to combine all facets of style, quality and usability of a traditional Aston Martin without relying on retrospective detail or design. Accordingly, styling changes to the revised DB9 are subtle, reflecting the car's timeless design and understated elegance. Exterior styling changes include the introduction of a new standard 19 inch 10-spoke alloy wheel, new door mirrors and a revised anodised aluminium five-bar grille. 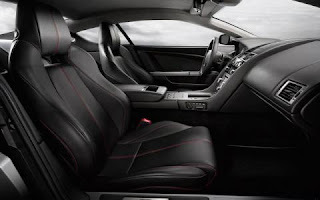 In the cabin changes include a new centre console constructed from die cast zinc with a painted iridium silver finish and the introduction of a new Emotion Control Unit (ECU) – first seen on the DBS in 2007. The ECU – constructed from glass, polished stainless steel and polycarbonate - replaces the key used previously for the DB9. 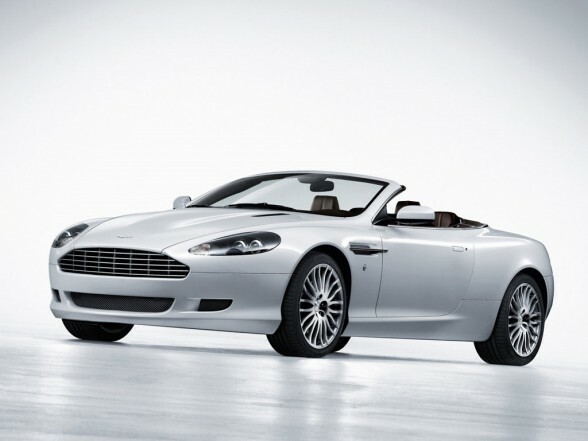 The innovative DB9 introduced an exciting new era for Aston Martin. The 2+2 sports car set new standards in its class due to its astonishing combination of technology, agility and design. The car marked the beginning of a new era for Aston Martin Volante and became the first car to be hand-made at the company's state-of-the-art facility in Gaydon, Warwickshire. Sales of the DB9 started in spring 2004, and to date, more than 10,000 examples have been produced and delivered to customers around the world – surpassing the DB7 as the most successful Aston Martin of all time. Deliveries of the updated DB9 begin during quarter two 2008, with prices from £113,950 for the DB9 Coupe and £122,950 for the DB9 Aston Martin Volante.